Our fees cover all of the work required to complete the sale or purchase of your property, including the payment of Stamp Duty Land Tax (Stamp Duty)/Land Transaction Tax (Land Tax) and Registration at the Land Registry. Our fees for sale, purchase or re-mortgage depend on the nature and value of the property you are buying or selling, or the new loan being taken. 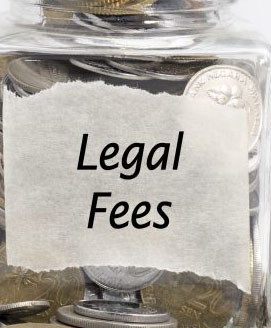 Our fees are listed below. A full quote can be obtained from our website. This will also provide details in respect of anticipated disbursements. Disbursements are costs related to your matter that are payable to third parties such as Land Registry fees. We handle the payment of the disbursements on your behalf to ensure a smoother process. For leasehold properties you should also be aware that ground rent and service charge fees are likely to apply throughout your ownership of the property. We will confirm the ground rent and the anticipated service charge as soon as we receive this information. a. This is a standard transaction and that no unforeseen matters arise including for example (but not limited to) a defect in title which requires remedying prior to completion or the preparation of additional documents ancillary to the main transaction. b. The transaction is concluded in a timely manner and no unforeseen complications arise. c. All parties to the transaction are cooperative and there is no unreasonable delay from third parties providing documentation. · There is an unusual mortgage - particularly if that lender will not instruct us to deal with their requirements and we need to liaise with third party solicitors acting for the lender. · The sale includes a new build element or setting up new leases. · There are multiple owners and you require a trust deed or similar arrangement put in place between the parties. · The purchase or sale involves a shared ownership scheme. · You are using a help to buy scheme, and whether it is an equity loan or ISA. This list is not exhaustive but if complicating factors arise we will contact you to agree a new quote before progressing. VAT is payable at the prevailing rate, currently 20% on our fees and on any disbursements which are subject to VAT. This depends on the purchase price of your property. You can calculate the amount by using the HMLR Fee Calculator on the HMLR website (https://landregistry.data.gov.uk/fees-calculator.html). This depends on the purchase price of your property. You can calculate the amount you will need to pay by using the HMRC Stamp Duty calculator on HMRC's website (https://www.tax.service.gov.uk/calculate-stamp-duty-land-tax) or if the property is located in Wales by using the Welsh Revenue Authority Stamp Duty Calculator on the Welsh Revenue Authority's website (https://beta.gov.wales/land-transaction-tax-calculator). • Take your instructions and give you initial advice. • Check finances are in place to fund the purchase and contact lender's solicitors if needed. • Receive and advise on contract documents. Carry out searches. • Obtain further planning documentation if required. • Make any necessary enquiries of the seller's solicitor. Give you advice on all documents and information received. • Go through conditions of mortgage offer with you. • Send final contract to you for signature. • Agree completion date (date from which you own the property). • Exchange contracts and notify you that this has happened. • Arrange for all monies needed to be received from the lender and you. • Deal with payment of Stamp Duty/Land Tax. • Deal with application for registration at Land Registry. • Obtain your title deeds. • Arrange for you to complete the pre-contract enquiries. • Prepare the draft contact documents. • Deal with any necessary additional enquiries from the buyer's solicitor. • Agree completion date (date from which you vacate the property). • Arrange for the mortgage(s) on the property to be redeemed. • Obtain and pay the estate agents fee. • Account to you for the net proceeds. • Obtain redemption statement from existing lender. • Deal with the new lender's requirements. • Reporting to the lender and requesting funds. • Agree completion date with you. • Redeem any charges on the property. • Report to you with the net proceeds. • Deal with application for registration of the new charge at Land Registry. • For leasehold properties (deal with notice of charge). How lonq will my conveyancing take? How long it will take from your offer being accepted until you can move in/out of your house will depend on a number of factors. The average conveyancing process nationwide takes between 10-12 weeks. It can be quicker or slower depending on the parties in the chain. For example, if you are a first time buyer, purchasing a new build property with a mortgage in principle, it could take 6 weeks. However, if you are buying or selling a leasehold property it often takes longer because we tend to wait for management/freeholder information. This may take nearer the 10-12 week average or longer. Factors can complicate any transactions, for example if the lease you are buying or selling requires an extension of the lease, this can take significantly longer, between 2-4 months. In such a situation additional charges would apply (normally around E650 plus VAT for the lease extension if combined with the sale/purchase). Typically, a re-mortgage will take 3-5 weeks.